Dr. Anthony Hodges spoke to the Chief John Ross Chapter, NSDAR, during a meeting focused on Historical Preservation. Dr. Hodges highlighted the recent efforts by local preservationists to secure funding for the historic Brown’s Tavern and the continued work to maintain the Brown’s Ferry site. Hodges is serving his second term as president of the board of the Friends of Chickamauga-Chattanooga National Military Park and also serves as vice president of the board of the Tennessee Civil War Preservation Association in Nashville. Additionally, he serves on the boards of the East Tennessee Historical Society, Museum of East Tennessee History in Knoxville and the Coolidge National Medal of Honor Heritage Center in Chattanooga. Brown’s Tavern, built in 1803 and generally considered the oldest house in Hamilton County, was built for John Brown, owner of the equally historic Brown’s Ferry, located on the border between the Cherokee Nation and the United States. The Tavern was the site for the marriage of John Ross and his wife, Quatie and served as a trading post for those traveling through the region. John Brown was removed from his property and, along with hundreds of other members of the Cherokee Nation, began his Trail of Tears from his own ferry property. Brown was allowed to return to Lookout Valley in the 1840s and is presumed to be buried on the property. Dr. Hodges stressed the historic significance of the properties and the need for preservation. Not only is the property recognized by the Cherokee Trail of Tears Association, it is listed on the National Register of Historic Places and the Civil War Heritage Trail. Many local citizens have heard of the Trail of Tears connection but few understand significance of the site, relative to Civil War history. In 1863 during the long siege of Chattanooga, Union General Ulysses S. Grant ordered US Brigadier General William Smith to open a Union supply line opposite the Confederate position at the bottom of Lookout Mountain. William Hazen’s elite Union troops seized Brown’s Ferry and constructed a pontoon bridge across Moccasin Bend to the Union defensive sites in the city. The supply line helped contribute to the Union’s success in a series of significant battles, including Missionary Ridge. The Chief John Ross Chapter membership was fascinated by the stories and significant people connected to the historic properties and the efforts to preserve significant elements of our national heritage as educational tools. Dr. Anthony Hodges, graduated from the University of Tennessee Center for the Health Sciences with a D.D.S. degree in 1981. He is married to a dental school classmate, Dr. Jill Prichard Hodges, and they have three grown children. They reside on Elder Mountain, near the historic sites. 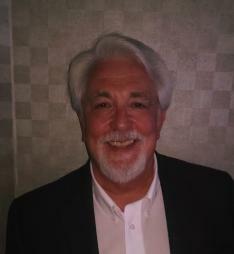 Dr. Hodges recently retired from dentistry after 33 years of practice. He became interested in early American and Civil War history as a young child due to oral family history passed down to him by elderly relatives. He began to collect Civil War artifacts as a young boy and items from his collection have been displayed in national parks and museums across the South. He served as a National Park Service living history interpreter for nearly forty years. Dr. Hodges began to study Civil War medicine in dental school and has lectured on the topic for over thirty years. He assisted Dr. Bud Robertson of Virginia Tech in the re-printing of the U.S. Army’s official twelve volume medical account of the Civil War, The Medical and Surgical History of the Civil War. He wrote numerous Civil War historical articles for the Chattanooga Times-Free Press during the war’s 150thanniversary.